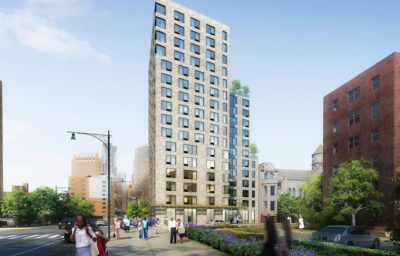 Bright Power is especially proud this Pride Month to share two groundbreaking projects we’re working on: Crotona Senior Residences and Ingersoll Senior Residences. Both projects will provide quality affordable homes for low-income seniors in an LGBT-friendly environment. They will each house SAGE (services and advocacy for GLBT elders) Centers onsite. Each marks the first LGBT-friendly, low-income senior housing in its borough – Cortona Senior Residences in the Bronx, and Ingersoll Senior Residences in Brooklyn. These two inspiring projects will meet the unique needs of their future residents. And, by integrating sustainability, they will be comfortable, healthy, and enjoyable spaces that also keep operating costs low, ensuring long-term affordability. Read more about the project in NYREJ. 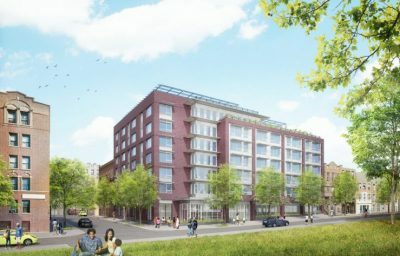 BFC Partners with SAGE is developing Ingersoll Senior Residences and will be Brooklyn’s first senior living environment that promotes diversity and safety for LGBT elders. Ingersoll Senior Residences will be a 17-story, 145-unit building that will ensure apartments are affordable to those earning below 60% of AMI while 30% of the units will be reserved for formerly homeless seniors. The onsite SAGE center will provide social services and supportive services for all residents. BFC won CHPC’s Impact Award for Housing this April for their work on this project. Learn more about the project in NYHC.